Toys involve creativity, healthy competition, fun, valuable time to spend with whom you love or you simply enjoy the most. Games are not only a “child’s business”, adults too can and must revalue their role, for example through the aesthetic pleasure of collecting unique, old traditional toys. 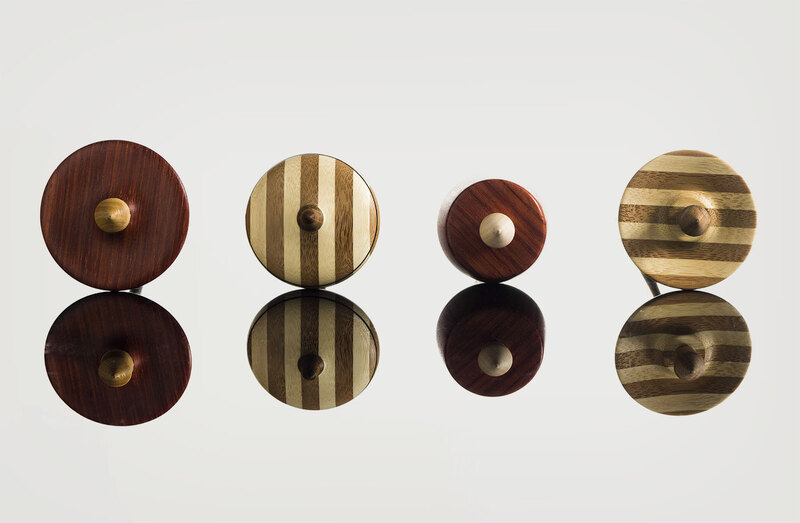 Our collection of handmade wooden spinning tops comes as a reaction to the always-connected world and as a homage to childhood and light heartedness. 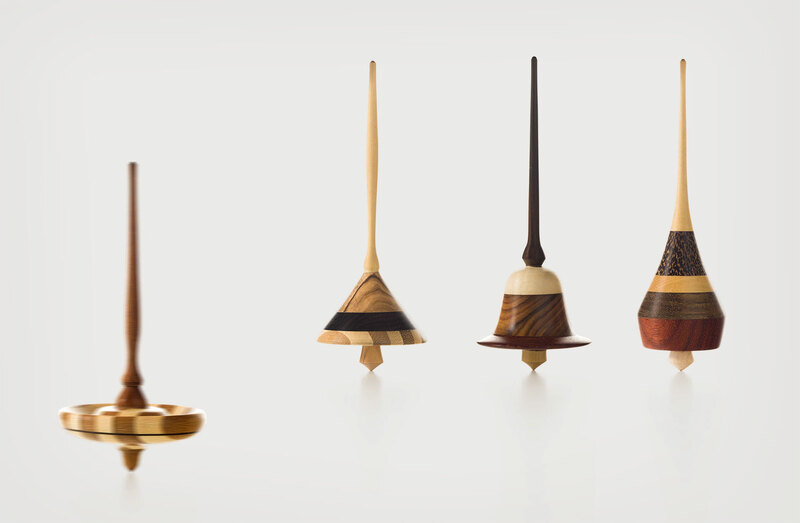 Inspired by vintage wood toys, our high-end spinning tops La Ballerina, La Matta, La Diva and La Perfetta are exclusively handmade by an experienced toy maker. Woods of various types are mixed to decorate and convey strength to the toy structure. 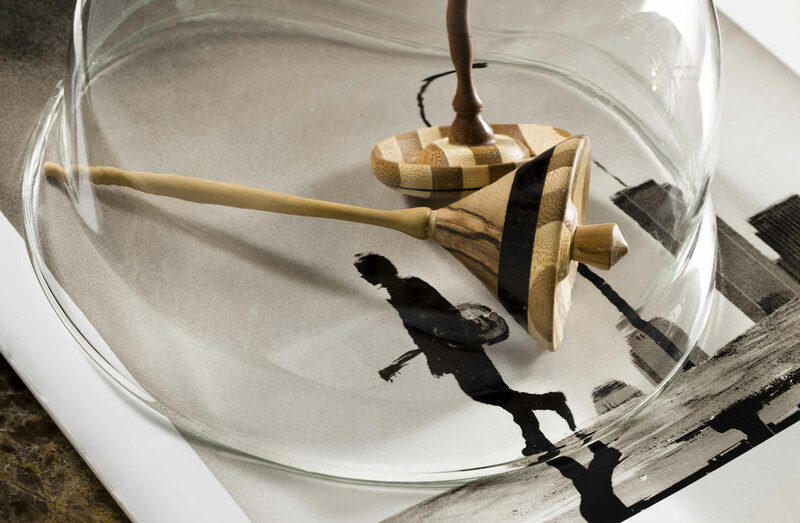 The result is a collection of design objects surrounded by the allure of past times. 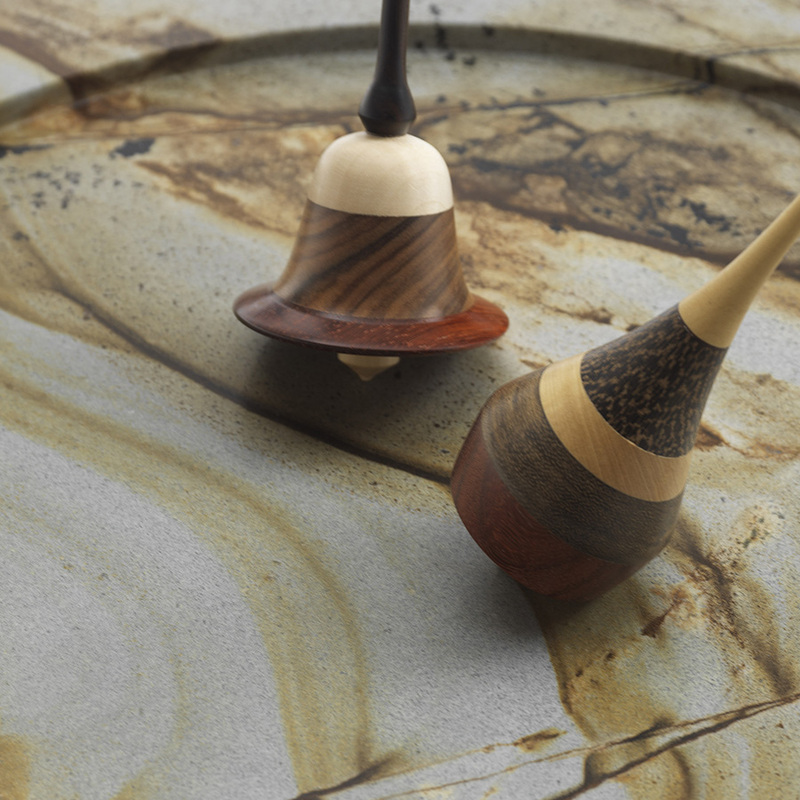 Ebony, maple, palm tree, padouk, rosewood, oak, bamboo boxwood, olive, wenge, are the wood species used for the manufacturing of our collectible spinning tops. Design and craftsmanship are key to defining Amerigo Milano’s identity. 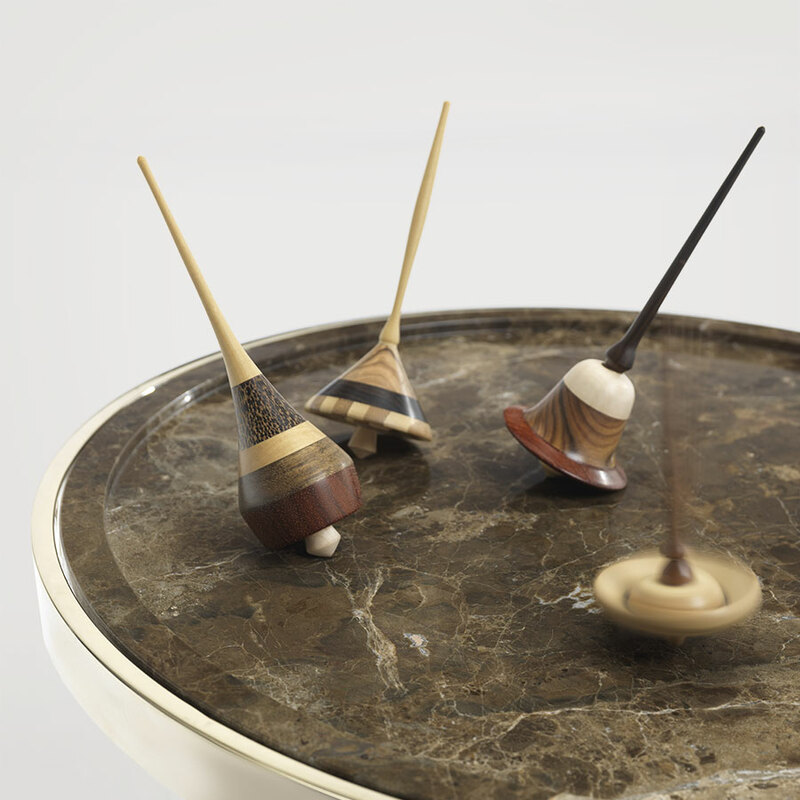 Each spinning top is handmade, each one of them turned on lathe by Domenico, our skilled toymaker and Mastro Trottolaio. 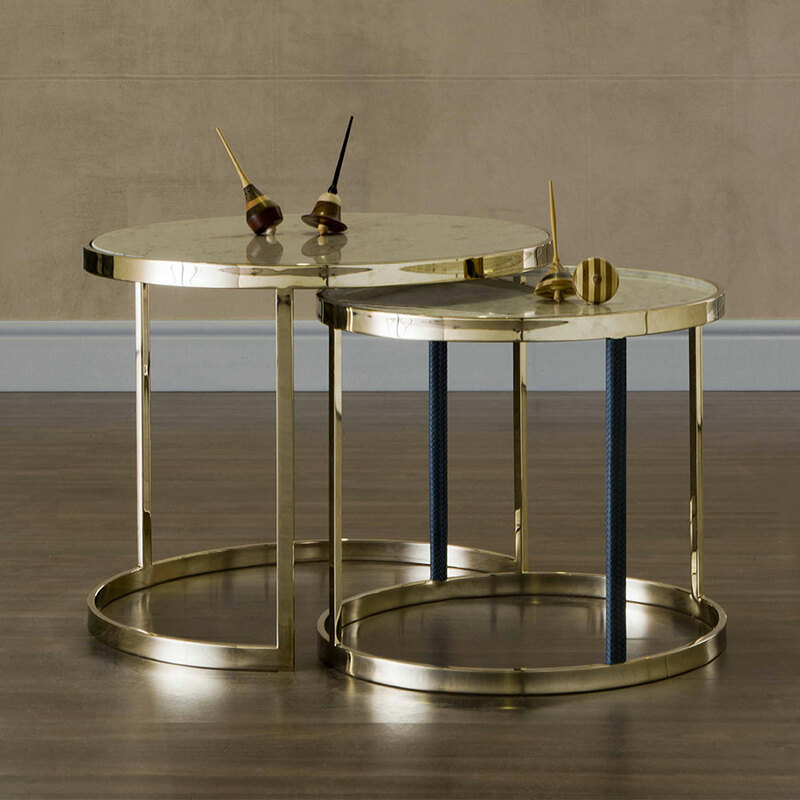 A modern or classic living room, a refined coffee table that becomes the perfect stage to show off your most precious objects. 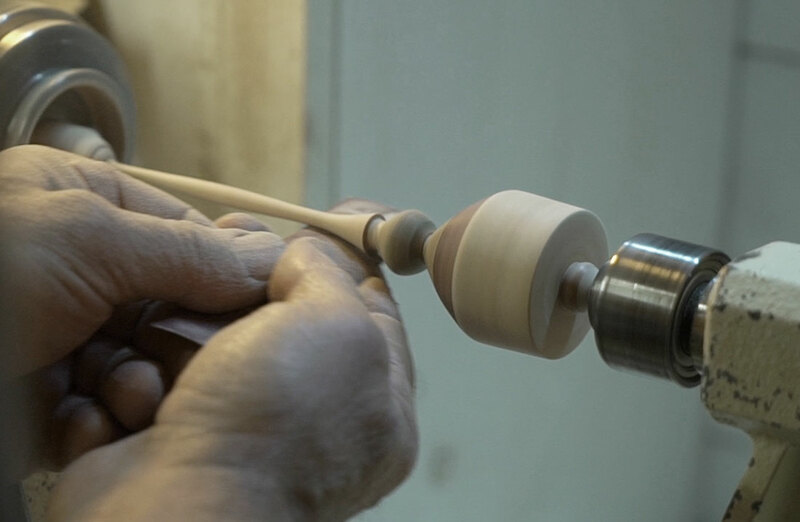 This is the ideal place for handcrafted wood spinning tops. 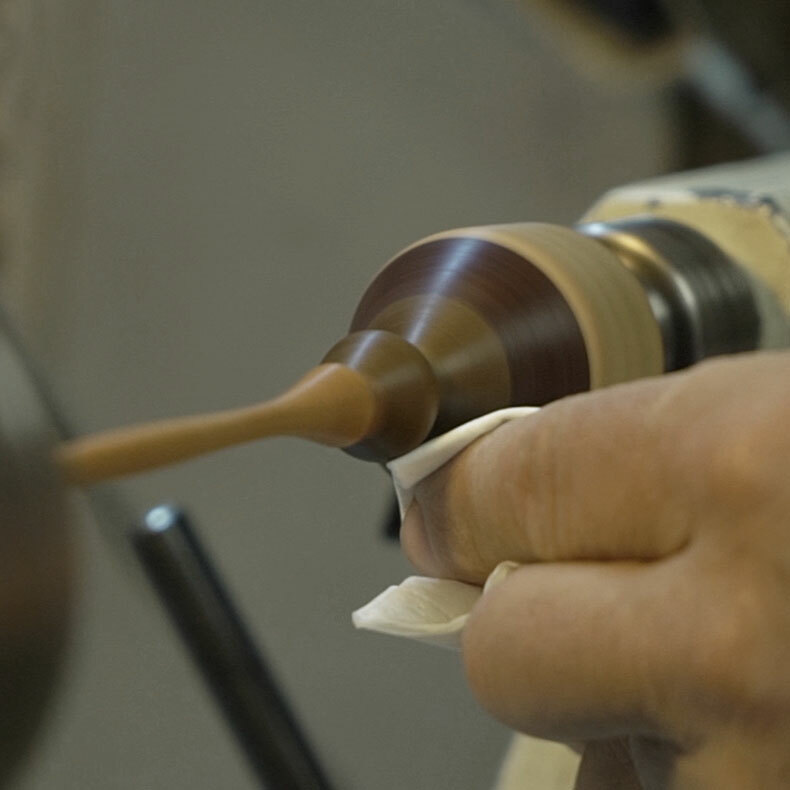 The creation of wood spinning tops requires a careful selection of materials. The wood pieces need to be well seasoned to match and avoid separation or cracking. These damages would undermine the balance and so the ability of the toy of revolving around its own axis and spinning properly. Homer and Dante wrote about them: spinning tops are among the most ancient toys and we are sure they came down in history for a reason. Every country has its own way to play and build them. Ask around and you'll see they are called many names although the fil rouge is overall the same: having fun and enjoy the craftsmanship that made it possible for these antique toys to come to us. Like ballerinas performing a flawless pirouette, spinning tops twirl with grace on their tip-toe. 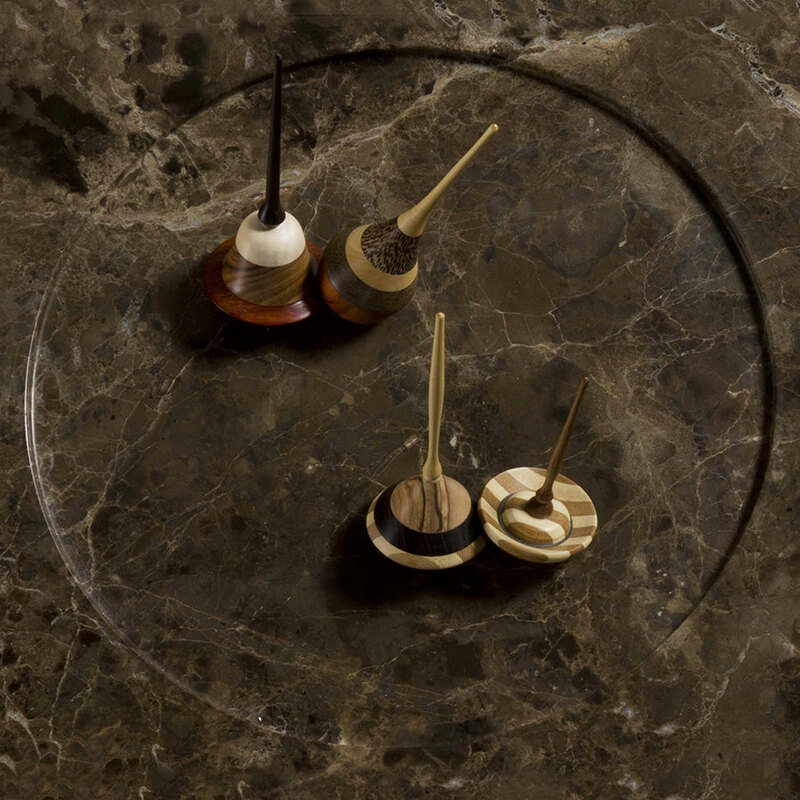 Make them dance on a smooth surface, such as the marble top of Amerigo Milano’s side tables. 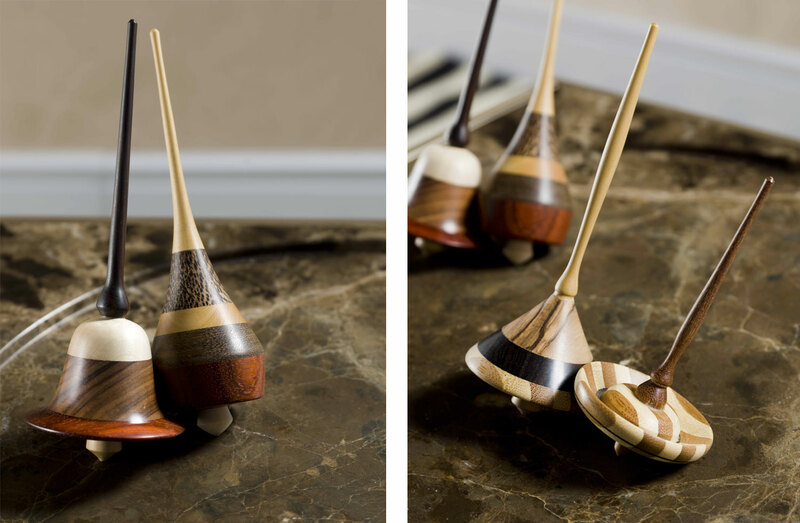 Each of our spinning tops is handmade out of carefully selected exquisite woods, carved with a lathe by a skilled craftsman and toymaker. Timeless toys, beloved by adults and children alike. The simple sight of them make it impossible to resist against the childish impulse of twisting and make them rotating, to observe the speed and perfect balance of their dance. 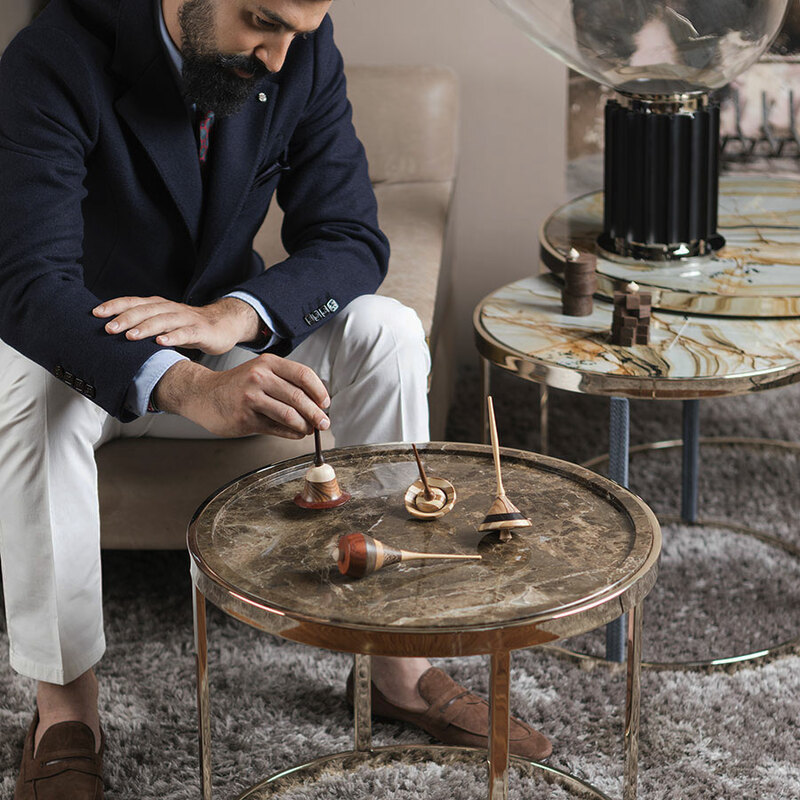 Our bespoke high-end spinning tops bring joy to any home, taking with them the pleasure of lingering over an object that is able to bring us back to our childhood, a pastime that has been able to preserve its original design through centuries. A witness and symbol of generations of skilled artisans.